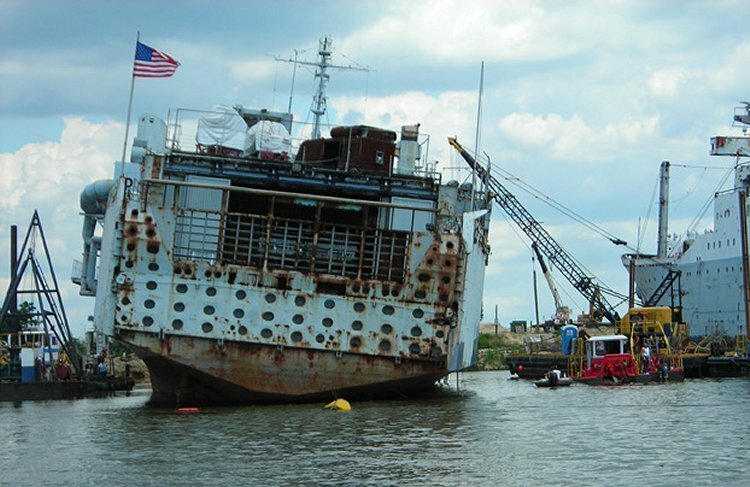 Decommissioned, 10 July 1947, at Orange, TX. 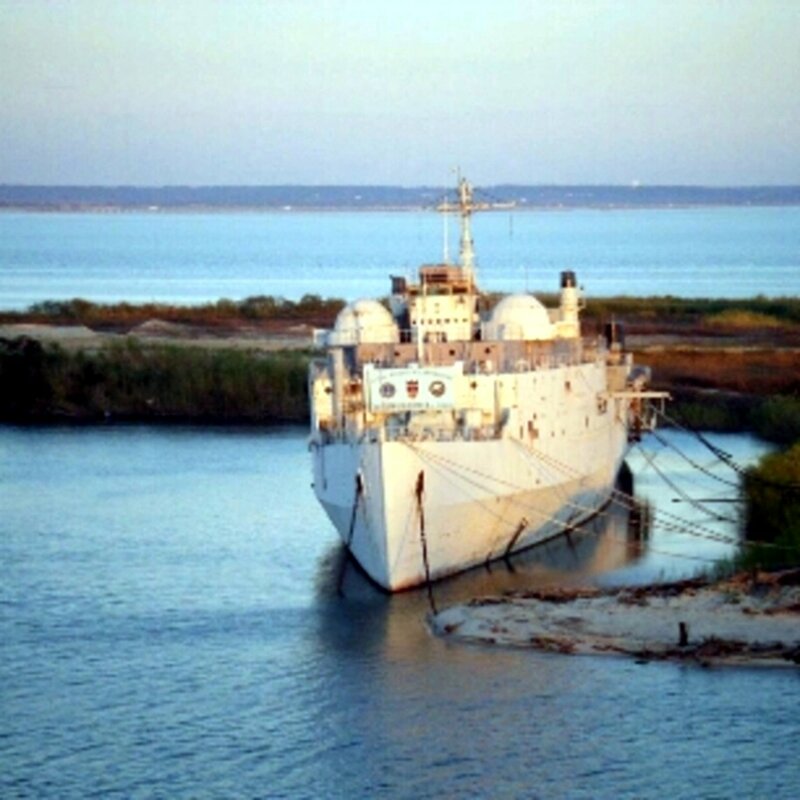 Recommissioned, 20 September 1950, at Orange, TX. 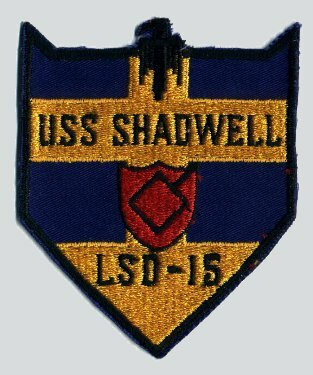 Decommissioned, 9 March 1970, at US Naval Amphibious Base, Little Creek, VA. 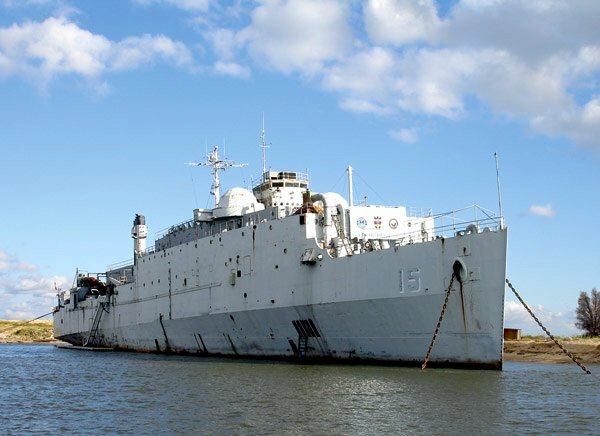 Laid up in the National Defense Reserve Fleet, James River, Fort Eustis, VA.
Aircraft (still in commission in late 40's or early 50's) were fitted/retro-fitted with a prefabricated steel grated "Portable Deck" suspended between the wing walls and supported by removable I-beam girders. 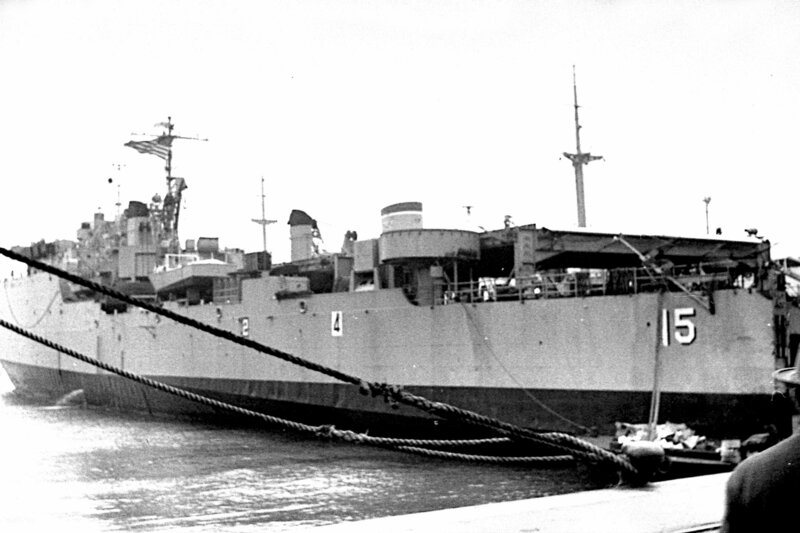 The aft end of the portable deck contained a wooden helicopter platform, enabling the ship to land and launch 1 helicopter at a time. 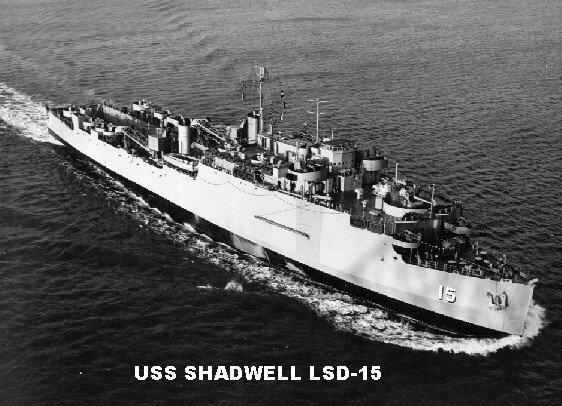 Stowage of helicopters was limited to capacity of the portable deck installed for the mission. Aircraft servicing was limited to re-fueling. 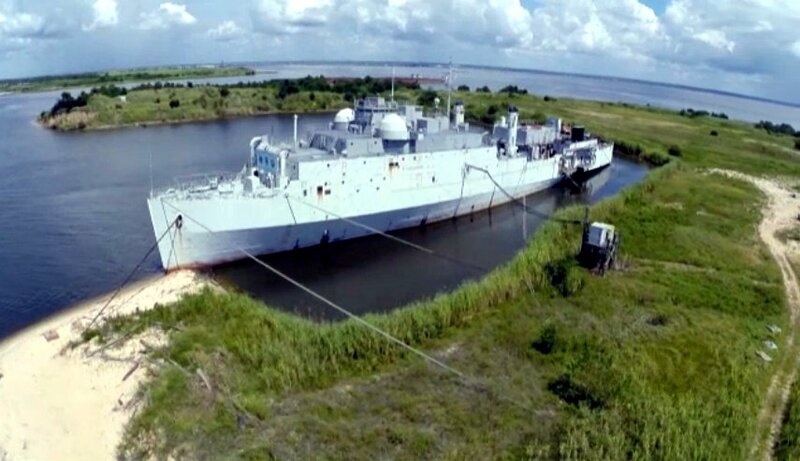 With portable deck and aircraft platform installed, the Landing ship, dock was still capable of transporting, launching and repairing smaller amphibious craft and vehicles up to the size of a Landing craft, utility (LCU) in their well decks. 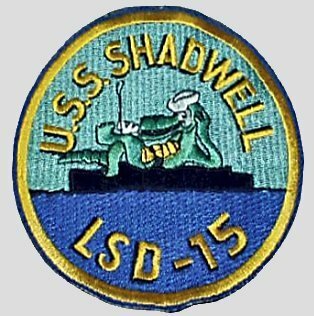 26k USS Shadwell (LSD-15) under way, date and location unknown. 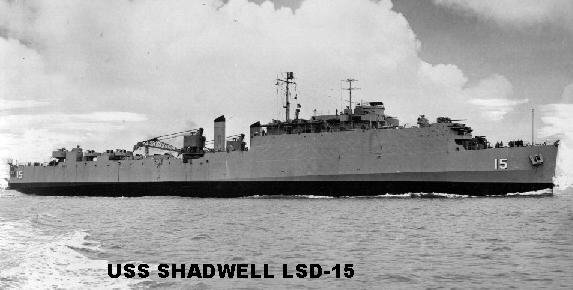 71k USS Shadwell (LSD-15) under way, date and location unknown. 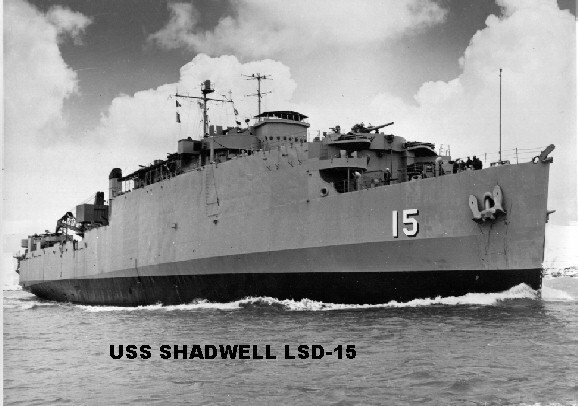 101k USS Shadwell (LSD-15) under way, date and location unknown. 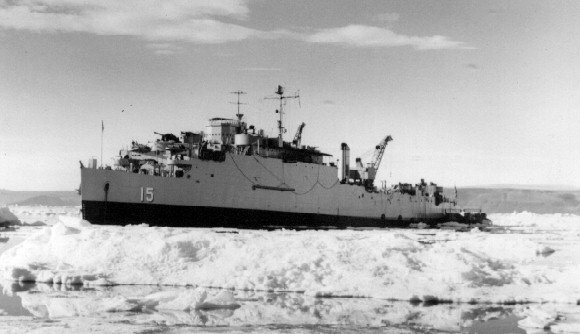 50k USS Shadwell (LSD-15) in the Arctic ice, circa 1951-1953. 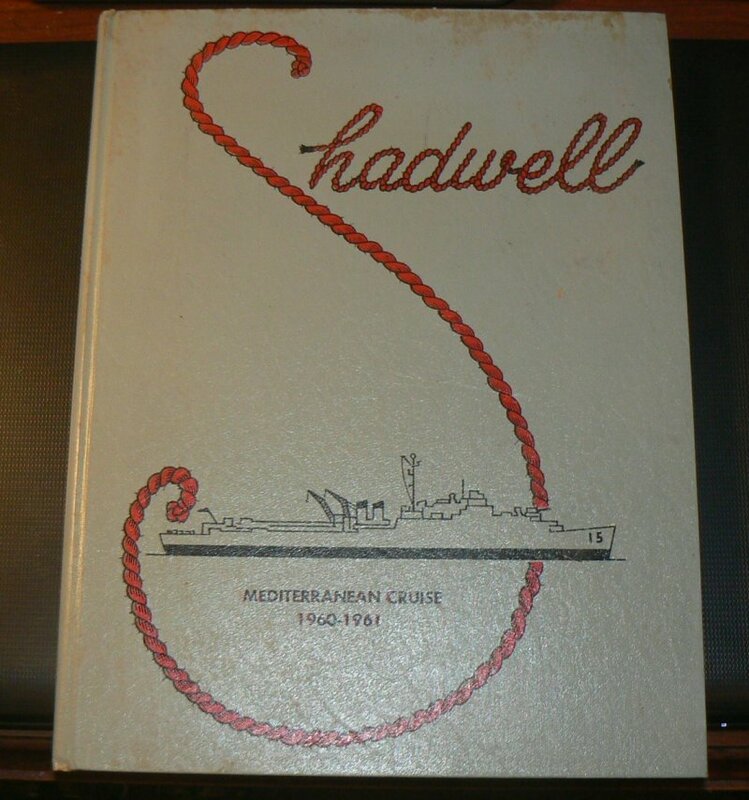 122k USS Shadwell (LSD-15) 1960-1961 Mediterranean Cruise book (cover only) Richard Miller BMCS USNR Ret.